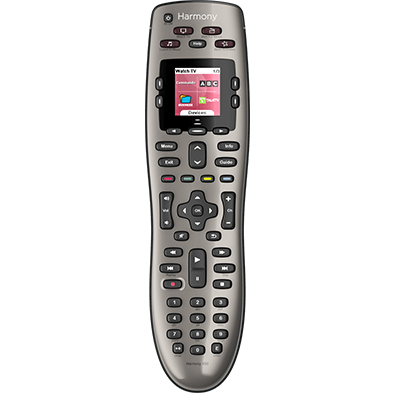 When setting up a new Harmony remote, Harmony will either automatically create Activities or guide you through the process of creating them yourself. If you're adding a device or need something different than what's automatically created, then you'll need to manually create an Activity. Let's take a look at how to create your Activity, in the examples provided below, we'll walk through the process of creating a Watch TV Activity. 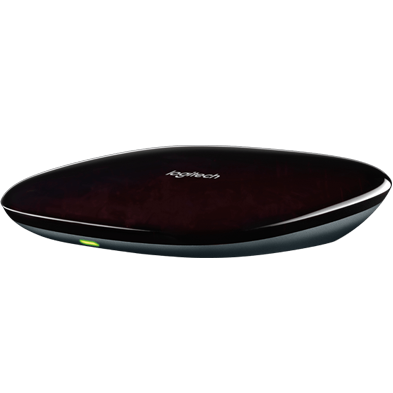 Sign in using the MyHarmony desktop software and select your remote from the gallery. To get the best default button assignments, we recommend basing your Activities off of one of the default Activity types; for example, a Watch Netflix Activity is similar to Watch a Movie or Watch TV. The Custom Activity type should only be used for unique situations, such as controlling your fireplace. 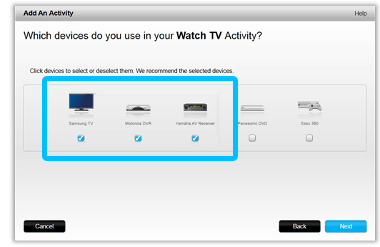 For our example, select the Watch TV Activity type. Enter a unique name for your Activity and optionally upload an icon that will display on your remote. Select only the devices that are needed as part this Activity. Select the device that's used to change channels. In our example it is the cable/satellite box. Select the device that's used to control the volume. In our example it is the AV receiver. Referring back to your worksheet, select the input that your TV must be set to when watching TV. 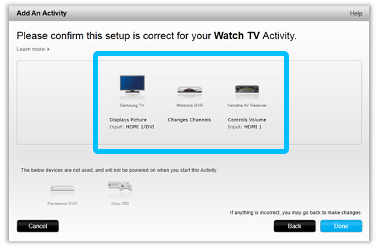 Similarly, select the input that your AV receiver must be set to. In our example, this is HDMI 1. You are now complete. Remember to sync your remote after making any changes. From the Harmony app on your mobile device, select MENU then Harmony Setup. Select Add/Edit Devices & Activities, then ACTIVITIES. Harmony will suggest different types of Activities based on the devices you have added to your account. To get the best default button assignments, we recommend basing your Activities off of one of the default Activity types; for example, a Watch Netflix Activity is similar to Watch a Movie or Watch TV. 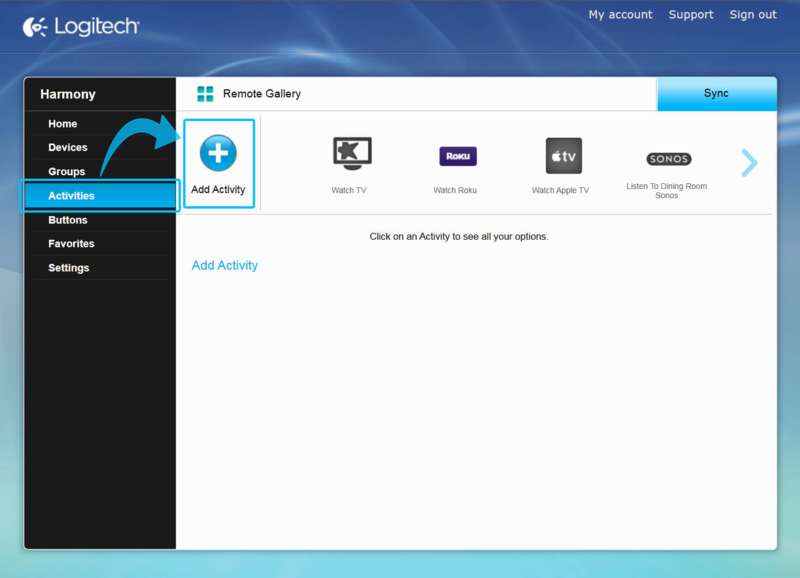 Click ADD ACTIVITY and select the WATCH TV Activity, press > to continue. Use the ON button to power on any devices that are off and select MY DEVICES ARE ON when complete. 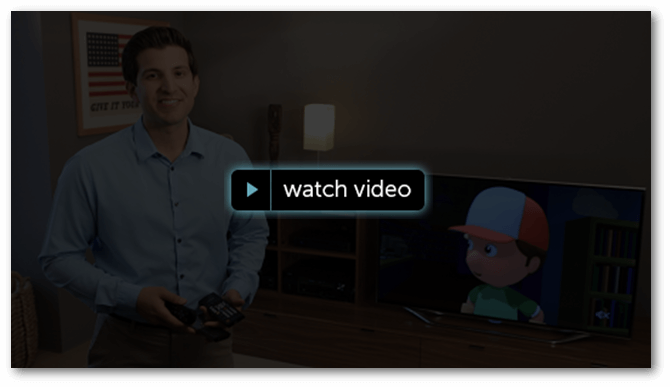 Select your TV icon and choose the correct inputs for both your TV and Receiver. In our example, this is HDMI 1/DVI. Harmony will immediately send the inputs as you select them. Once both inputs are selected you will be asked if you are able to see and hear content from your new Activity. Press YES if the Activity is working properly or NO to adjust settings. Once complete you can choose to do a final test of the Activity or skip this step. To get the best default button assignments we suggest you create Activities using the suggested Activity types, avoiding the custom Activity type. For example, a Watch Netflix Activity is similar to Watch a Movie or Watch TV and should be created using that Activity type. 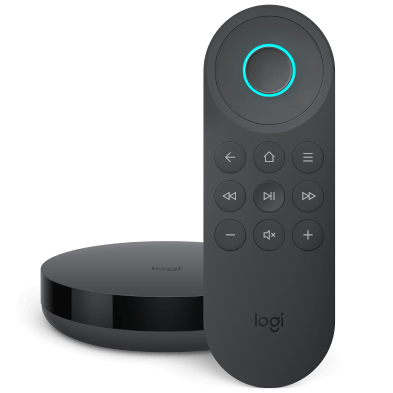 Have a Smart TV or media streaming device? Learn how to make Smart TV or Netflix Activities. If you have an AV receiver and sometimes want the sound to come out of it's speakers, and other times want sound to come out of your television speakers, we recommend creating two Activities. You can also automatically send a command when an Activity starts or stops. For example: you can have your DVD players tray eject every time to start Watch a Movie.